1. Use it on your hair and scalp. 1/4 cup of ACV mixed with 2 cups of water used as a rinse after you shampoo and condition closes the hairs cuticle, adds shine, clarifies the hair and scalp and helps with the pH balance of the scalp. You can also use it instead of shampoo since it clarifies. 2. Control your weight. Add 2 tablespoons of ACV to 8 oz. of water and drink up to help you control weight. 3. Detox with it. Again, adding 2 tablespoons ACV to 8 oz. of water and drinking it can remove excess toxins and sludge. It’s best to drink it in the morning before you eat or drink anything. 4. Use it for acne. Adding 1 part ACV with 1 part water in a small container and dip a cotton ball or cotton pad in it. Wipe it all over your face. Using it as a toner can set the pH level of the face in balance. 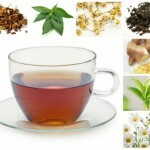 It also helps to kill bacteria which causes acne. 5. Soothe sunburns or muscle pains. Add a few cups of ACV to your bath water. 6. Whiten your teeth. Applying ACV will help remove stains and residue. 7. Clean with it. ACV is a strong disinfectant and can be used as a cleaning agent (ex: glass, mirrors, hard surfaces, etc…). 8. Support your immune system. Adding 2 tablespoons of ACV to 8 oz. of water and drinking it can support a healthy immune system. 9. 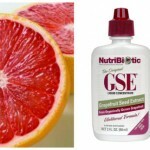 Promotes Digestion and pH balance. 10. Beat work out exhaustion. The potassium and enzymes in ACV relieve the tired feeling from the lactic acid build up in he body after a work out. 11. Clear a stuffy nose. Adding 2 tablespoons of ACV to 8 oz. of water and drinking it can help drain the sinuses. 12. Sore throat. Mix 1/4 cup of ACV with 1/4 cup warm water and gargle every hour or so. The ACV will create an acidic environment where germs can’t survive. You can purchase Bragg Apple Cider Vinegar online, in Whole Foods, and other health food stores. « The Sartorialist & Cipriana	» How Much Does the Average Wedding Cost? Their AC drinks are also pretty good as well. I had the the ginger spice and it was better than what I thought it would be. Not as spicy(for my taste) but still pretty good! Thank you for sharing @poetsgroove:disqus , I’m gonna have to try it! about using it to whiten teeth,one must be careful as it erodes tooth enamel!i would recommend using hydrogen peroxide,which you can get from the pharmacy. I wasn’t aware of that, I have to look into it. Thank you for sharing @b7d64a744a3e4a6cb88cf45445781d67:disqus :). The Whole Foods brand of organic ACV has the mother in it. I use that and funny enough I think that ACV and water tastes pretty good! Thank you for sharing @1f3868cf100ad30f21de3f75603becb2:disqus , I didn’t know :). 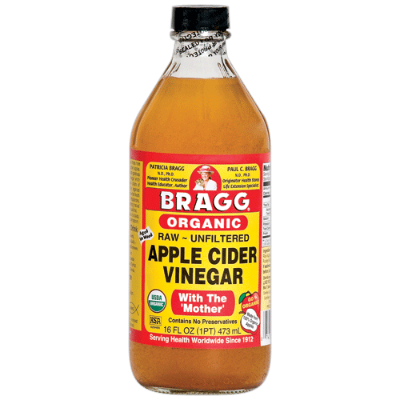 Braggs ACV is one of the best kept beauty “secrets” ever! About a month ago, my skin broke out something terrible, which is unusual for me. I started adding ACV to my water and, I kid you not, my skin completely cleared up in two days! I also add it to my montly bentonite clay face and hair mask. I even got my hubby adding it to his water. It is a best kept beauty secret! Thank you so much for sharing your experience with it @ae286c27348221fc4d50aa6e74ff9a54:disqus :). I have ACV and I had no idea it helps whiten your teeth. I use mine for my hair. Oh…ACV does a lot @twitter-592072158:disqus :). i swear by my braggs acv. i use it as a rinse instead of shampoo to cleanse my scalp before for co-washes. i don’t get nearly as many tangles and snarls with the acv rinses as i do with shampoo. it’s been part of my regimen for 3years now and i don’ t think i’ll ever go back to shampoo. I agree with many of the uses, but I’ve tried and can’t drink it. After a few days it burns my mouth and throat. But the other uses work well for me. Do you mix it with water? You can try 2 teaspoons of ACV mixed with 8oz. of water if 2 tablespoons mixed in water is too strong for you @8c635d3bf2cb8886cb01e4d80ab6768a:disqus :). I’ve been using generic store brand ACV but I will look for an organic version with “The mother” to see if it makes a difference. ACV rinses seem to be one of the few things that really get my scalp clean. @yahoo-U3S4GBEUNJ64Z5Y6QGMGOJZEMY:disqus I’m not sure if it will make a difference with your hair but with everything else it will because the mother contains all the nutrients and live bacteria :). The typical gallon jug is vinegar with food coloring more than ACV, I do use the cheap stuff in my laundry, on my counters…but what I use on my skin and in my hair and drink is always the Braggs…. i love Acv i drink it three times a day.I drink it before a workout give me tons of energy i mix it with lime/lemon first thing in the morning.It makes my skin flawless and glowing plus my nails keep growing long and strong i have to cut them up.PPle think am weird that i like the taste lol! It’s so great for energy, especially right before working out! And it is awesome for your skin! Thank you for sharing @40e10f0f3984dfaad1cd8d37de78a5e0:disqus :). I have tried and tried to drink it with honey and lemon, esp for the benefits I’ve read on sinus infection relief, I just can’t, weird though I love the smell, I use it with water as a toner on my face. So you see energy benefits as well? I’ve been trying to tell all of my people about Braggs ACV, they just don’t know they are sleeping on it. Because I use this I’m hardly ever sick except when I run across a sick baby man they have those super bugs. Its also good for eczema. One winter my left hand(it always my left hand for some reason) started getting dry, then my skin started cracking then bleeding. Well I got my cure all and a cotton ball, it burned a lil but in a couple of days my hand was as good as new and skin so smooth. They are sleeping on it @cocobt628:disqus ! Thank you for sharing your experience, I know many people have eczema and it’s good to know it helps with that! 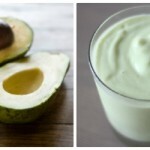 I drink it, use it in my hair, and on my skin religiously. When you say “used as a rinse” you mean instead of water use this to rinse out the conditioner? Or after you rinse your shampoo or conditioner out then rinse with this? Hi @d0686c37676e2de226334a79cfa858e8:disqus ! You use the ACV rinse after you shampoo and condition, or after you co-wash. Which means wash out all the conditioner with water then pour on the ACV rubbing it into your scalp and getting it all over your strands. Then rinse out the ACV and proceed to apply your leave-in moisturizer and lastly seal with an oil of your choice :). Thanks. I am just now seeing this. Going to buy some today. isnt the acid bad for ur teeth? Hey @f77e7514f0791f0881d577b2a3d3c8a5:disqus I found this :). burning your mouth and throat, as well as to protect your tooth enamel. Maybe ACV should be named the wonder solution with all its multi-purpose uses! The fact that it tastes good too, even as a salad dressing. For whitening teeth, do you use it as a mouthwash, diluted in water? I love ACV too! I have recently started using half parts mix of water and ACV for a toner on my face, after cleansing with Noxema. It has cut down so much of the oil, I love it! I swaer my skin is softer, I’m not sure why yet. I am definitely going to try it on my hair as well. I’m using this Fast Hair Growth Oil on my scalp now, http://www.exoticallure.com/hair-growth-oil.htm but an ACV rinse is an excellent idea, thanks! How long do you leave it rinse in? Rinse your hair after washing and pat dry. That’s it, don’t rinse. Unbelievably, when the rinse dries, there is no odor whatsoever! I use Bragg’s ACV for everything. I drink it every day. I use ACV only on my hair. I don’t use shampoo, conditioner, or anything else. I quit shampooing years ago, since I found that is what was making my hair frizzy. Recently I realized the wonders of ACV and am using it as my conditioner. I am really trying to limit my chemical exposure. I have hashimotos thyroiditis and hypothyroidism, plus diabetes and many other things like eczema. It hasn’t cleared up my eczema, I believe that is an internal food allergy more than anything. I will say that since I started drinking ACV everyday I have no more need for antiacids, no more heart burn. People with Thyroid disease tend to have lower stomach acid which turned out was my problem, I needed more stomach acid and it helps so much! I will never give up my ACV. You know, I just talked with my dentist in St John IN about using it to whiten teeth and he said it really does work. He recommended other ways above using ACV but I guess if it works, it works, right? Good to know. I was mixing just one teaspoon with waaay more water than 8 oz…thought I was really doing something! ACV is like the acidic equivalent of Coconut Oil. It’s amazing and somehow works on everything.